No pictures yet, I forgot to get some when I first put them on to smoke. I started at about 150 degrees and after adding the hickory and some good pellets the temp has slowly climbed to right at 200. 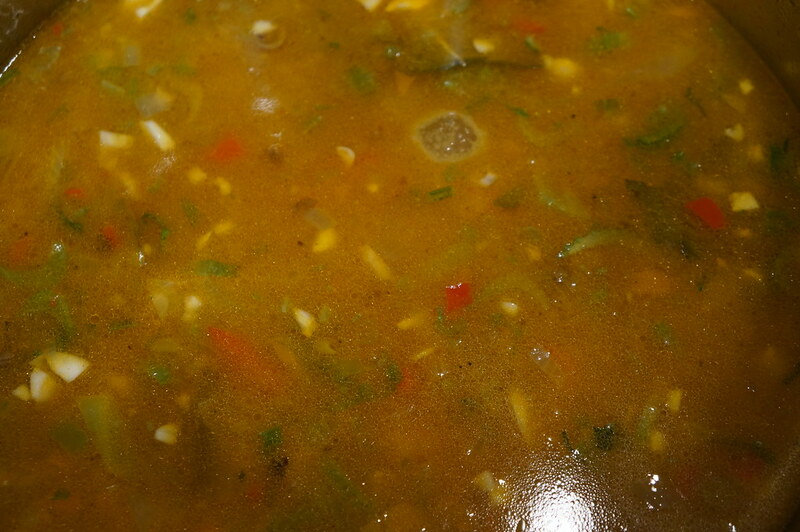 This will be for a Rabbit and Andouille Gumbo I'm making for tomorrow evening. Also thowing in some tasso and hot smoked sausage. Should be a good one. All of the seasonings simmered and some frozen chicken stock I made added to the pot. 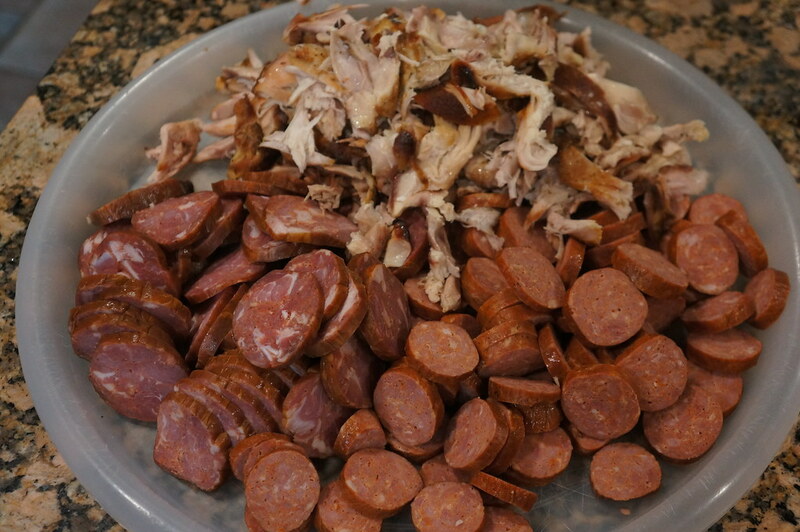 No pics of the rabbits on the Keg but here they are deboned with the andouille and smoked hot sausage sliced up. 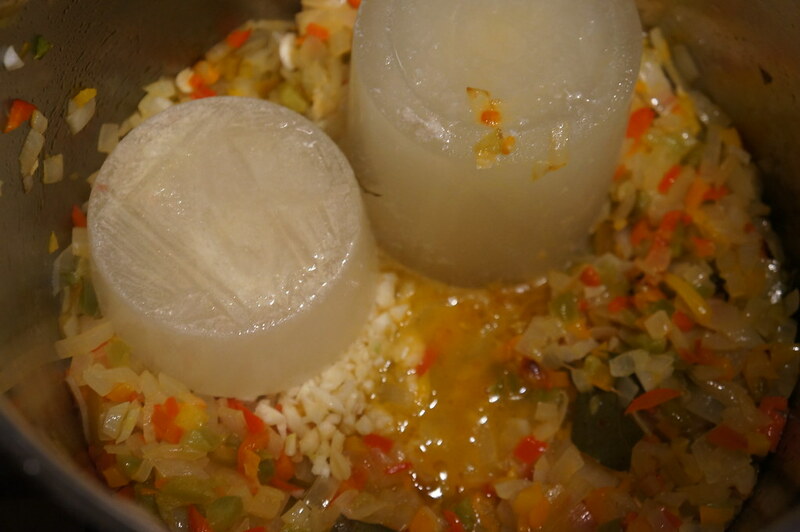 The chicken stock melted down with the seasonings. Everything in the pot including the roux and time to simmer for a while. Man! It smells awesome here! The andouille and smoked rabbits have a delicious smell. Got a potato salad made and just need to make a pot of rice for dinner tonight. Good game of LSU and Alabama this evening. I can eat that whole pot! looks fantastic! 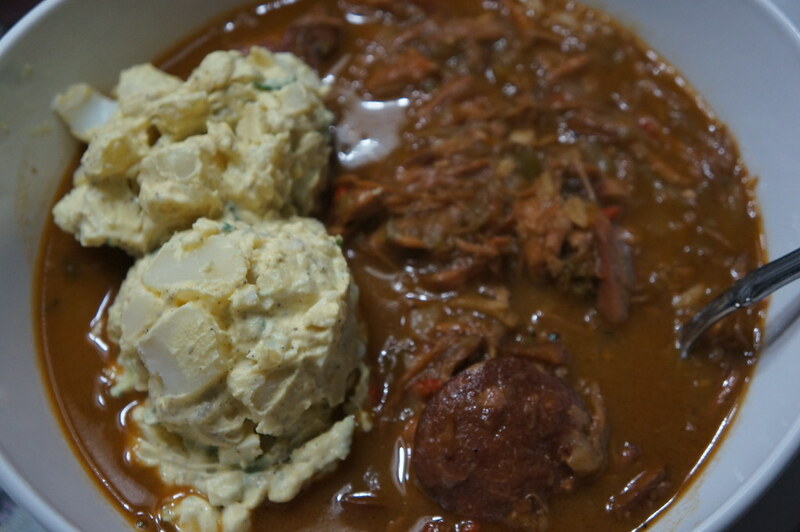 Well, the rabbit and andouille gumbo came out fantastic! 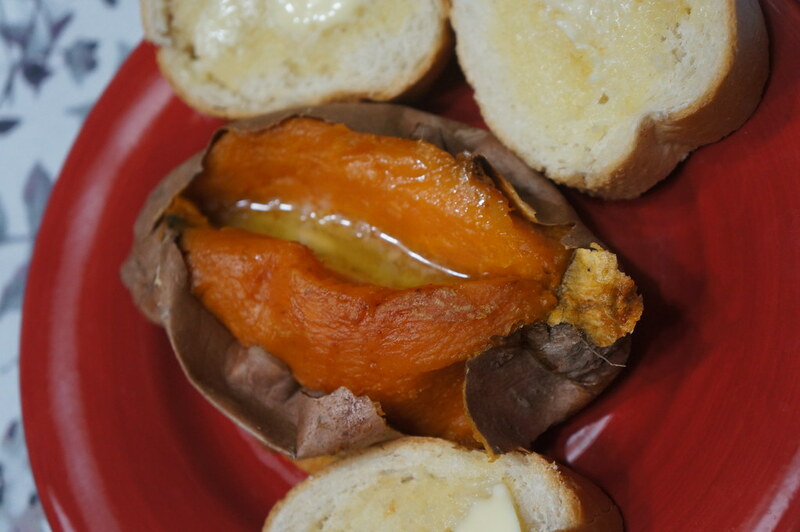 I couldn't decide between the potato salad and the baked sweet potatoes so I had both. Looks mighty fine. 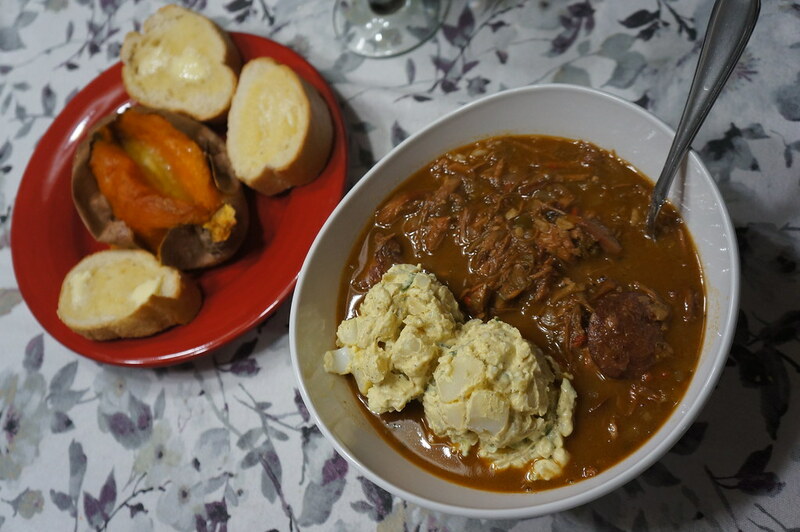 I like the Potato salad in the Gumbo. 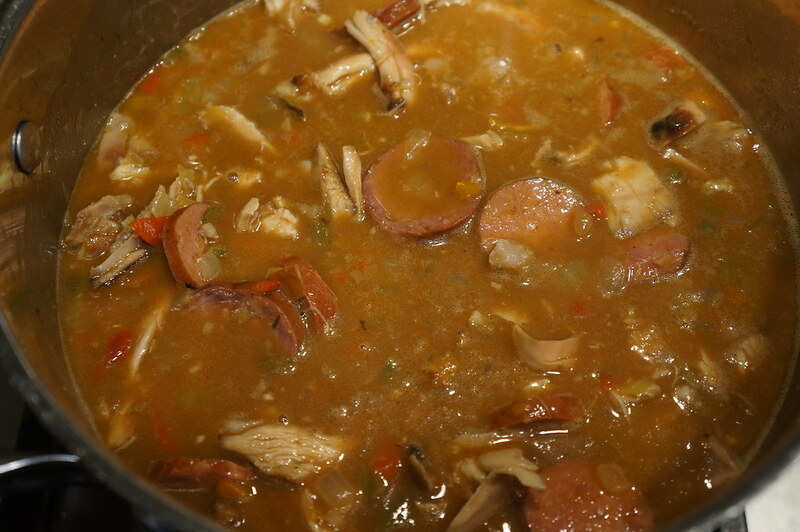 A friend of mine taught me that when I lived in Biloxi and I do every time I have Gumbo. I did have rice in there too. Lol....... Great pot of gumbo!!!!! Had a bowl last night for dinner and it was delicious. Even better a day or two later!